→Who else needs an International phone number today. An international phone number is your solution to setting up online services such as PayPal. To distinguish your personal phone number from your business phone number. You can support your international customers with a local presence without having to set up regional offices. Use a global phone numbers on a variety of devices, from desk phones to mobile phones and be available anywhere while reinforcing your professional image. Use international phone numbers on a variety of devices, from desk phones to mobile phones and be available anywhere while reinforcing your professional image. VoIP is a cheaper and alternative way of making phone calls. VOIP is an acronym or stands for Voice Over Internet Protocol. It is also referred to as IP Telephony, Internet Telephony and Internet Calling. Apparently, if you have a microphone and speakers in your computer, and a stable or reliable Internet connection, you can enjoy using VoIP for free. This can also be possible with your mobile and home phone. In most cases it can be very cheap or completely free. VoIP means your calls travel from your computer or telephone adapter across the Internet and to their final destination. With a reasonable quality Internet connection you can make free calls to the US or internationally - delivered through your Internet connection instead of from your local phone company. Skype, Google Hangout and Viber are the most popular example of services that allow you to make free phone calls on your PC, especially free calls with wifi. There are many computer-based VoIP services out there, so many that you will have a difficult choice. You can also make free calls using traditional phones and mobile phones. Our goal here today is to find online call forwarding services that can provide you with a free US or an international phone number for your business activities. A virtual phone number free of charge. There are many of such services and definitely not limited to the one's listed here. Feel free to add any service you've used or discovered in the comments section below. TextNow let’s you text and call online for free with a free US phone number. All you have to do is to signup with an email or better of, with your Facebook account. with this free virtual phone number, you can make phone calls online. TextNow provides a hybrid of Wi-Fi + cellular technology for texting and calling. They have payment plans with unlimited texting, calling, and data starting as low as $13.99 per month with no contracts. They even provide users with a free, Wi-Fi only version of TextNow; free calling over wifi available for download on your existing device. Note: The downside about TextNow is that – it is pretty much a US based service provider. To enjoy this amazing service you’ll need a VPN to change your IP address to a US IP in order to sign-up. Upon signup you’ll be assigned a US phone number which is perfect for personal and business activities. I use TextNow app on my tablet with a free automatically generated US phone number. It has never failed me. You’ll however need to use your free phone number to call or text periodically to keep it active otherwise it will be deactivated. 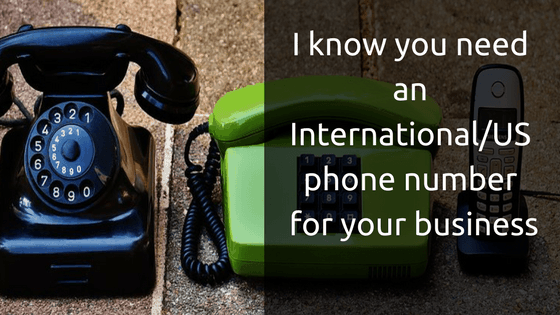 If you’re still struggling with getting a US virtual number or an international phone number from the myriad of VOIP vendors, then you’ll be safe with what you already have. 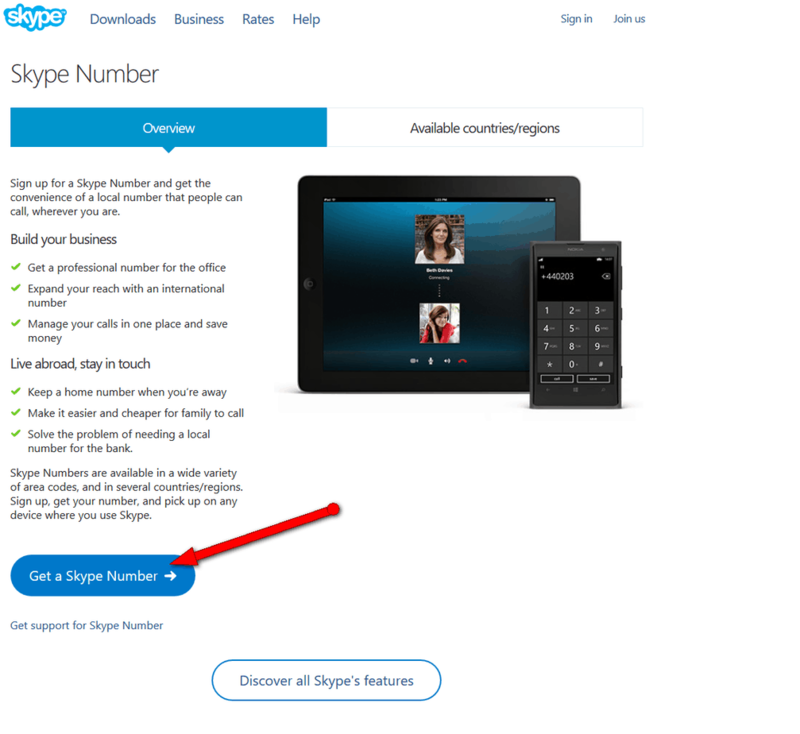 A manually generated phone number is an added advantage to the beautiful things Skype offers to its cherished users. With a Skype Number, you get the convenience of a free local telephone number that people can call, wherever you are. 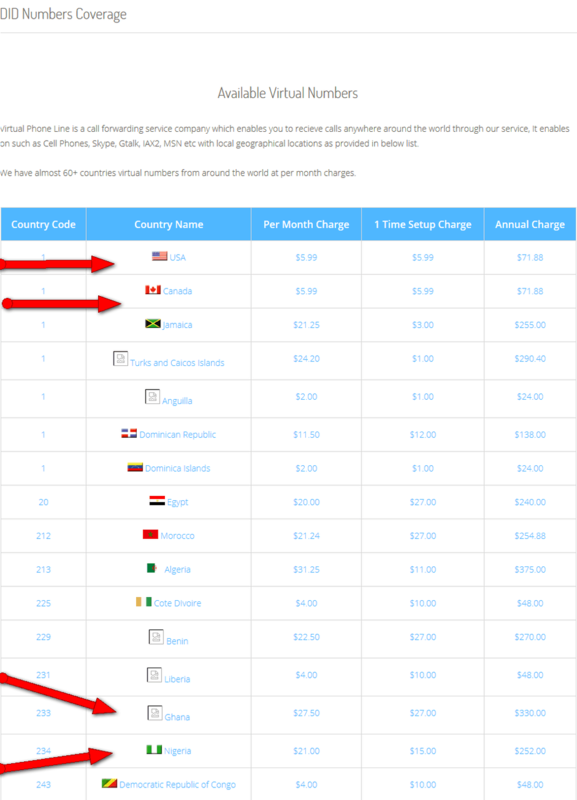 This dedicated Skype number is a premium service which cost between $20 and $50 . However, looking at what Skype can do for you and your business (group chat and calls to mobile and landlines), you’re in good hands. Skype Numbers are available in a wide variety of area codes, and in several countries/regions. Sign up, get your free phone number, and pick up on any device where you use Skype. Basically purchase an international phone number and any call made to the phone number online will be forwarded to your local number. With over 60+ countries virtual phone numbers from around the world, you can receive calls anywhere around the world through Virtual Phone Line. It is enabled on Cell Phones, Skype, Gtalk, IAX2, MSN etc. with local geographical locations of choice and at per month charges. Callcentric is a service that lets you make and receive free phone calls to other Callcentric members; and to traditional phones worldwide at great rates. It uses your internet connection and software on your computer or a telephone adapter to place calls using Voice over Internet Protocol (VoIP). How Can Callcentric Help Me? If you have friends and family living all over the world - Callcentric is for you. With NO signup, monthly, or per minute charges to call between Callcentric members you and your friends and family can speak to each other worldwide for free. With their flexible paid rate plans you can place calls worldwide to any regular or mobile phone; and you can order a phone number in over 35 countries to receive calls as well. A softphone such as Callcentric's free Softphone, or bring your own Telephone Adapter or IP Phone. They DO NOT require a credit card for you to place calls to other Callcentric members. All you have to do is order a free Virtual Phone Number from parts of the New York state by filling the “Find the location form” on the coverage tool. This may be used for personal or business purposes. Free Phone Numbers come with 3 inbound channels, and you can add additional incoming channels at any time for free. Available in over 80 rate centers (cities) within New York State. Call the free phone number you just ordered without adding any funds to your account. Check the dashboard and see whether your purchased number had indeed received the call from the number you dialed from. If yes. Then you only need to add as little as $5 from the checkout page to activate your New York number. Setup forwarding for the number and start using it. This test is to check whether the Caller ID on the free phone number is working perfectly before putting money into the account. This number when activated can be used to verify your PayPal account. Moreover, callcentric to callcentric calls are free so encourage your friends and family overseas to also create a free account. How I wish this was free forever. Hello? Who doesn’t love FREE! Hey, but its just free for a trial period. This is a premium service for business who are serious and want to scale or leverage globally. They have three packages. A starter pack, Business and Enterprise pack. The cheapest plan in the starter pack is $15 billed monthly. This is another great services for a simple VoIP. Users get toll free US and Canada number. Most importantly, users have a variety of numbers from a huge list of countries as well even in Ghana. These are few but not limited to what tollfreeforwarding can do for your business if going international is your goal. Watch their videos for a better understanding. get a free number with unlimited calling and texting to other Whistle Phone users. All you have to do is to download the Whistle app for your operating system. Free for iOS, Android™, Mac OS X & Windows PC. Whistle Phone® on the Go. For just about $9.99/mo, users of Whistle can also get unlimited calls and texts to mobile devices and landlines over a Wi-Fi, 3G or an LTE network connection. It’s powered by Google’s Android. Get family and friends using these service and enjoy free communication internationally for free. It’s as simple as that. This list of services here can be enough for our purpose today but not limited to the many international phone number service providers. Many more are in their early or development stages to becoming huge brands. Obviously, the goal is to make international business simpler, easier and better. I know you know one or two services not mentioned here. Share your awesome revelation with us. Your comments is our fuel. Sure, Ben. I’ll help you. In fact, you don’t need several numbers or addresses for your business. One will be ok. You just have to be taking good care of it. Internet is all about consistency. Do you need different U.S addresses and numbers for different internet ventures? I have just watched more than 3 different videos of yours, and that seems to be the impression I got. I also wish that, you guide me through the process as I begin. Because, I Don’t want to make any mistake. Will you help me?